Have you ever looked in the mirror and thought of how you’d like to transform your smile? Whether your teeth have discoloured from age, staining foods and beverages or some types of medication, or aren’t as perfectly aligned as you’d like, Praxis Dental can help. You deserve to love the way you look. Our dental team offers crowns, veneers and teeth whitening, which is available both in-chair and in a convenient take-home kit. Dentist Dr Ishita Puri will sit down with you to discuss what your goals are, evaluate your oral health and determine the best way to get you the smile you’ve always dreamed of. A thin porcelain shell covers the front teeth to improve their overall appearance. It can enhance discoloured, gapped, crooked or uneven teeth, correcting the shape and giving them a brighter, more dazzling look. Read more about veneers. We never settle for less than the best. That’s why we’ve chosen to use the Philips Zoom teeth whitening system. As it’s completely safe and clinically proven, you can whiten your teeth up to eight shades with our professionally supervised in-chair option. If your busy schedule doesn’t allow you to stop by for this hour-long appointment, you can choose a take-home kit and complete the process over the course of two to three weeks. You’ll receive custom-fitted trays and the whitening solution, though it isn’t of the same strength as our in-chair whitening. Read more about teeth whitening. If you have a tooth that’s damaged from decay or trauma, there’s no reason to have a smile that you don’t love. A dental crown is a cap that covers an existing tooth to give it strength, enhancing the function of your tooth and improving the aesthetics of your smile. Read more about crowns. 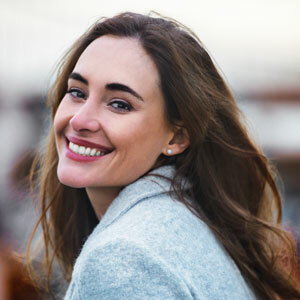 Did you know that we offer complimentary consultations for cosmetic dentistry Pacific Pines? Schedule yours today to find out what we can do for you!